What Should the Best Designer Sports Watch be? The perfect sports watch represent a statement, a lifestyle and give you the time of the day to live every moment to its full potential. Have you ever wondered which specifications you need exactly for your sports watch during your activities? 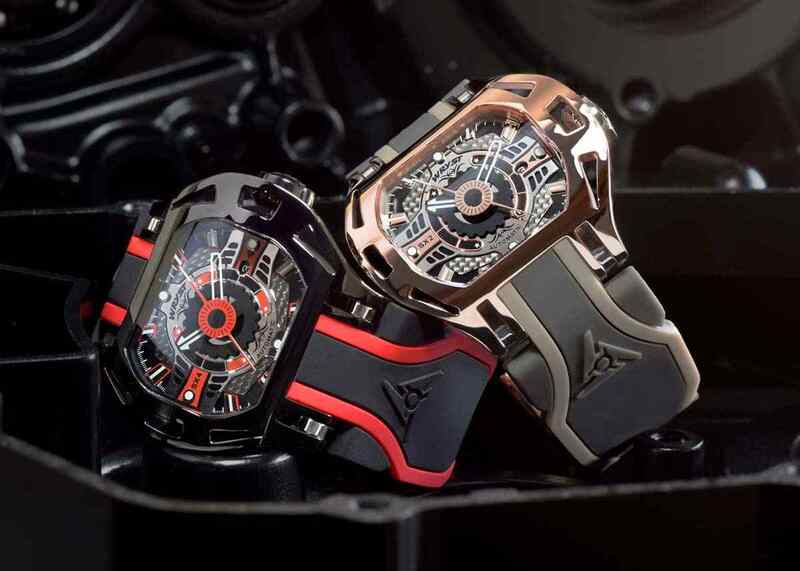 The Luxury Sports Watch Wryst breathe, worship, adore, praise and respect any form of sports. 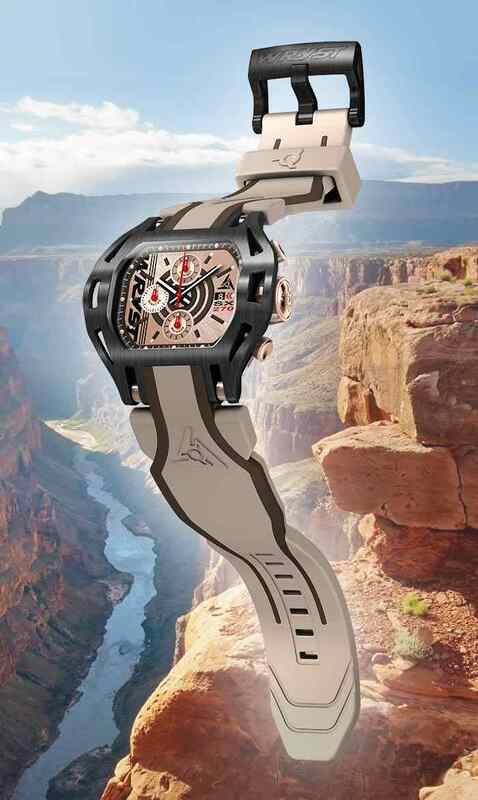 Whether for professional athletes, outdoor adventurers, motorsports, extreme activities or casual wear, the versatile Swiss sports watch Wryst is a reflection of yourself. 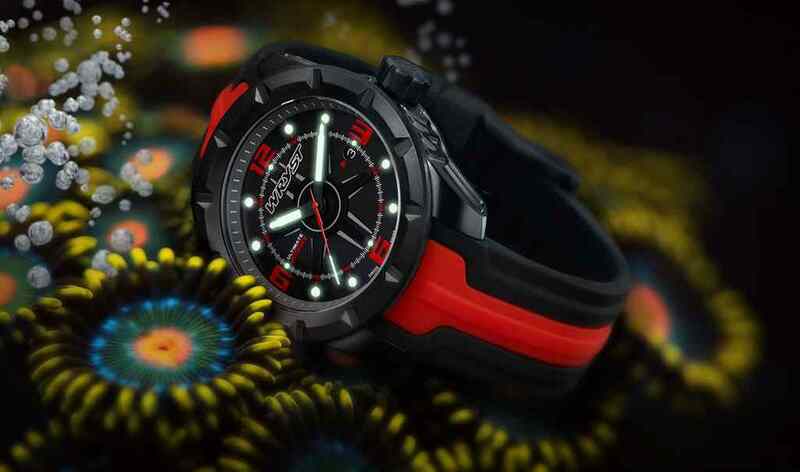 If sports is an aspiration or a hobby in your life, so is the designer sports watch Wryst. Wryst thrives to offer a vast range of sports watch collections, and available in a multitude of color choices and attractive retail prices. What should you look for in a Sports Watch? Number one in your list is the reliability of your investment. The sports watch you choose will be your companion more often than not. It needs to be suitable and fit for this purpose. 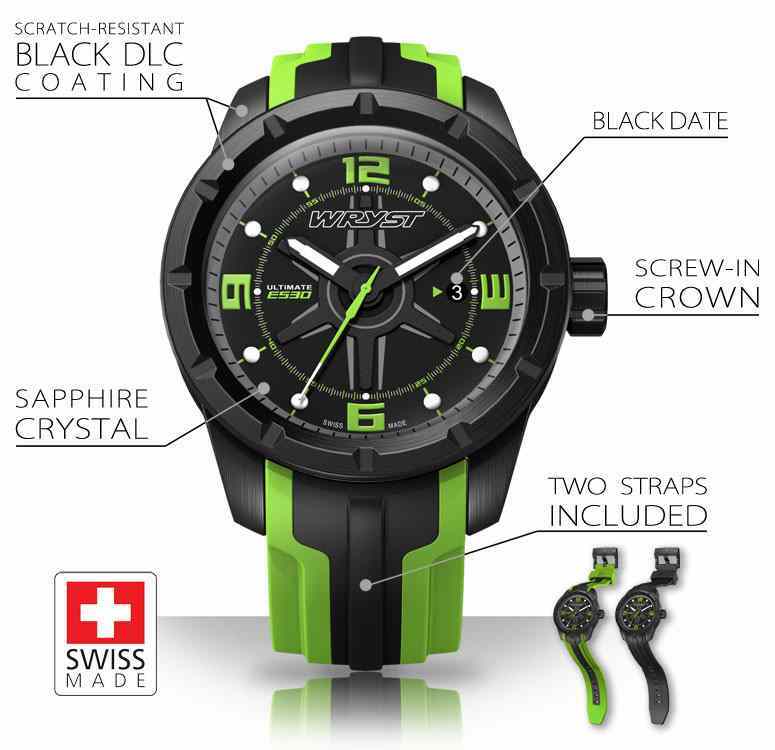 We recommend a quality shock-proof Swiss movement for the best possible accuracy and durability. Moreover, the engineering of a watch is extremely important and required a certain level of expertise and know-how. Assembly is also an important factor for a sports watch and it is crucial the production process is followed by extensive and rigorous tests. The Swiss Made label is the best guarantee to ensure your watch will be accurate and reliable. If your look is important, so is the look of your sports watch. This unique accessory will enhance your lifestyle and make you feel good. 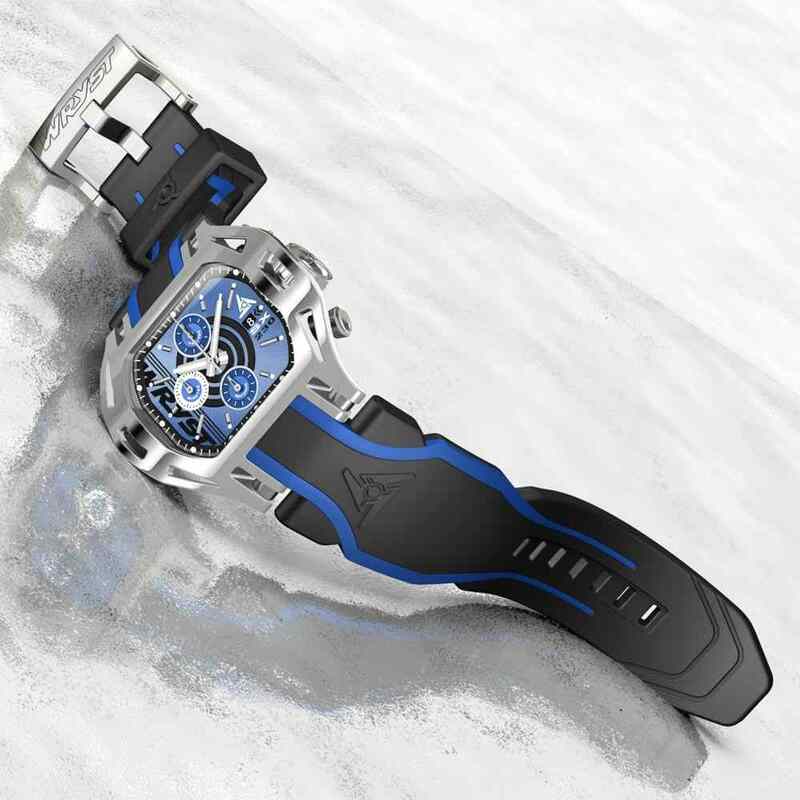 The designer Swiss sports watch Wryst Elements, for example, has been designed with modernity and singularity in mind. The bright colors can add to your sports watch look with two different bracelets included with each one of them. Available in blue, red, green, yellow, orange and black, what is your color? In our modern world, the last thing you want is a black screen timepiece that will literally tell nothing about your personality to anyone. So there is an extremely important factor to style and design. If you enjoy looking at your sports watch now, will you be so enthusiastic about looking at the time next year, and the following one? According to 95% of users, their best sports watch have always been about their strength and durability. Casing built-in stainless steel is a must. If plastic makes good disposable cups and plates for your beach parties, this material does not inspire durability. The stainless steel grade 516L sports watches produced by Wryst are for most protected by the world's hardest coating, the black Diamond-Like Carbon technology. On average, only 3% of all metal black watches of the market benefit from such high level of protection against accidental shocks. To protect your stylish sports watch dial, some brands such a Casio (The world's biggest producer of cheap plastic sports watches) also produce hard plastic crystals. At another level, the stylish Wryst timepieces are protected with a sapphire crystal with an anti-reflection coating. This provides the user with a scratch-proof experience. Another factor of strength in a designer sports watch is the bracelet attachment. The unique 5-piece screw attachment of the bracelet means you will not lose your sports watch anytime soon. Many other specifications are highly recommended during your sports activities, such as a screw-down crown, and water-resistance. The Swiss watches for sports Wryst offer different grades of water-resistance between 50 and 200 meters (5ATM to 20ATM). Perfect for water sports! While running, hiking, climbing, flying, or riding, your sports watch will need to be lightweight. The 45mm diameter good size Wryst Ultimate only weight 125 grams. If this is still too heavy for you, all Wryst Elements only add 90 grams to your body weight. More importantly, the ergonomic design of every designer sports watch Wryst have a flat case back adapting perfectly the flat top of your wrist. The lugs are then cleverly curved to conform with the arm. The soft silicone bracelets with anti-dust protection also have a smooth and seamless feel. Your sports watch definitely has to make you forget you are even wearing it. Strapping your watch on and off will soon become a second nature reflex. Reading well the time in all circumstances is crucial. Large man-size hands with large white luminova is a must for any sports watch. Except for the Ultimate ES20 and the Force SX210, all Wryst designer watches benefit of glowing super luminova material on the hour, minute, second-hand tips and hour markers. A good size date indicator is also present on all and every dial produced by the brand. No button to push to either see the time or switch on the dial. Since you have chosen to wear a quality sports watch, no need either to flip the phone out of your pocket or your ruggsac. This feature will allow you to be able to read clearly the time in bright daylight and also if you choose more nocturnal outdoor activities. For your sports watch, practicality will prevail on functions. All you need to know is when to "GO". If some gimmick gadget wrist toys are proliferating the markets, Wryst adopted a different approach. You do not need to know how fast your heart is beating as long as it does. If you need to know where you are and where you go, use your phone. How do you text your friends with a finger taking a third of the watch dial size? There are 101 keys on a keyboard... designer watches are not made for emailing or texting. All you need for your sports watch is a good reliable chronograph that will tell you how long you have been running for, or what is your best time around the track. The Wryst FORCE will provide you with stunning Chrono functions and clear reading. As much as we respect people choosing to wear a "connected" sports watch (Known as "smartwatch"), at Wryst timepieces we avoid any headache to understand how it works, the hassles to make sure it is re-charged, and most importantly our watches have a beautiful unique dial constantly available. Your Wryst sports watch never needs to be switched on! So your watch needs to be practical, which exclude any "connected" updates, firmware or software concerns. Finally, the thing you will be the proudest of is the exclusivity of your sports watch. Rare, unique and only available in limited editions, every sports watch Wryst is produced in small series. Today there are over 7.5 billion people on our blue planet. Wryst is one of the most inaccessible Swiss watch brand in the world with series of only 75 watches produced. One unit for 100 million people. Another perfect sports watch asset is also the look of your watch, nothing else looks like the unique and modern Wryst sports watch design. a. STYLE: "A distinctive appearance, typically determined by the principles according to which something is designed. Particular procedure by which something is done; a manner or way". b. FUNCTION: "A basic task of a computer, especially one that corresponds to a single instruction from the user". Ask yourself, which one of the above do you prioritize? "Our wardrobes consist mainly of suits, shirts, sweaters, and jeans, so a watch is one of the few places that you can express your personality or the way that you are feeling"
Not limited to your daily sports activities, Wryst also produces stunning luxury designer automatic watches. The sports watch has hardly ever been so different and unusual before. Above and beyond any standard three hands standard quartz sports watch, the latest mechanical option offered by Wryst is simply astonishing. Dedicated to individualists with a taste for fast sports cars and all motorsports in general, the 50mm excentric Wryst Racer collection takes your lifestyle to a completely new level. From the side to side large seamless perpetual second hand to the brutal looking dial, the Racer SX1, Racer SX2 Rose Gold, Racer SX3 Gold, and Racer SX4 in black are simply some unusual show stopper. 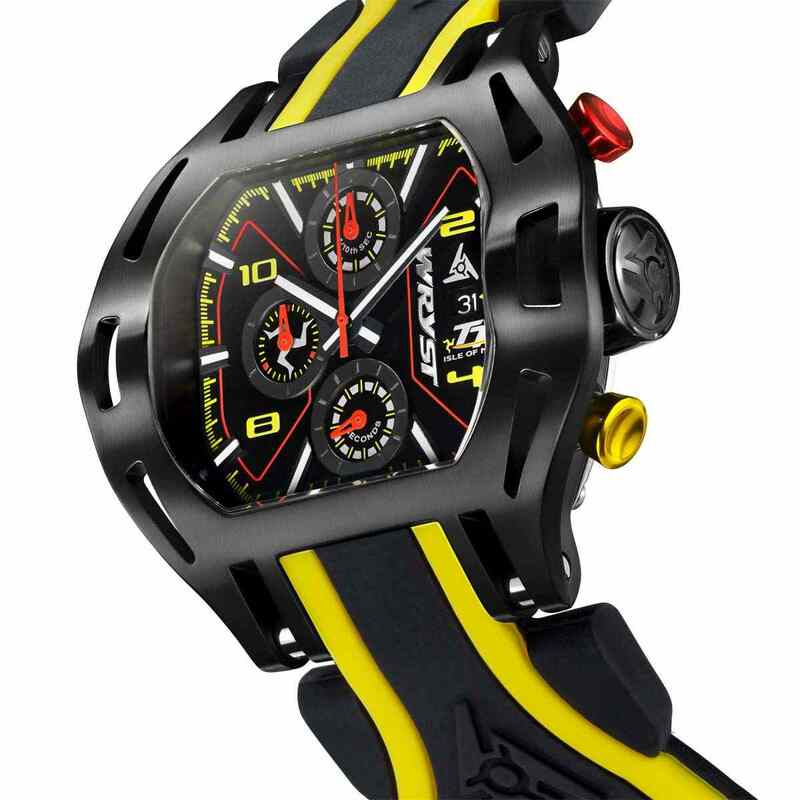 If you are looking for the best designer sports watch available on the market today, make no compromise the Racer collection will blow you away. Also produced in a small edition of 75pcs each, each automatic sports watch has its own style and charisma. High-end jewelry with no diamonds, the luxury timepieces are just more beautiful and will grow in you everytime you look at them. The more luxurious lifestyle oriented will be delighted to discover the four different models available. Either for an important business meeting, sailing to a new horizons, or driving a supercar around the track. "Dress like your going somewhere better later..."
Great guide about Swiss watches. Thank you for offering so many details all in one place. My favorite is the black/green ES3 - Just stunning colors. It was my first visit on your website and I was positive surprised! I was searching for the Top Luxury Watches Post that I have in preparation and I think that some of your watches have inspired me! I will further read and if needed I will contact you. Just keep up all that good work!